This is a 3 day workshop great for anyone, whether an advanced and experienced watercolorist, or a beginner. 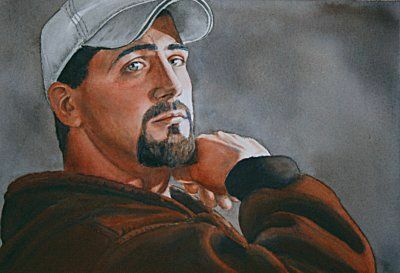 Everyone seems to think that portraits are so difficult - and they can be, but once you've learned my method of glazing and the colors I use you'll find them much easier. No matter what your level of ability you'll enjoy learning the techniques I use to produce my intense watercolor effects and realistic style. You'll only need 4 colors for this painting.